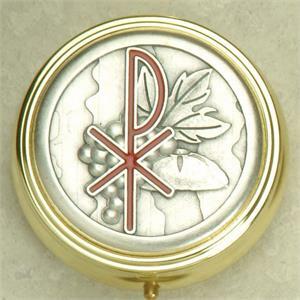 Silver Toned Grapes Chi Rho Pyx. 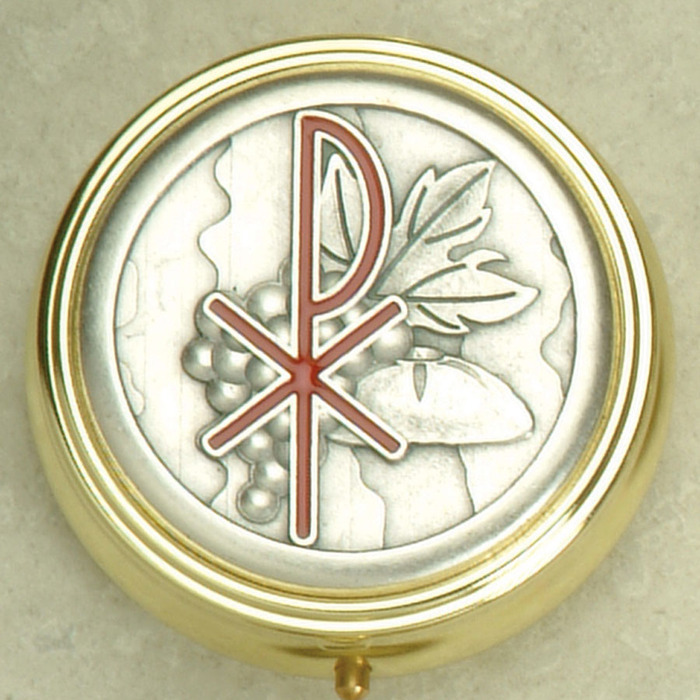 Measures 2 3/8". Made in Italy. Boxed.